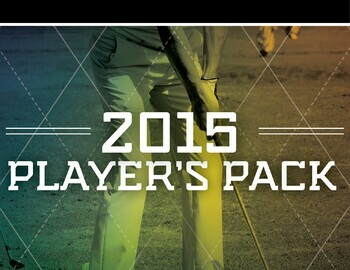 If you are looking to save some money and play more golf this year but don't quite have enough time for a full membership look no further than our 2015 Player's Pack. Including 3 Anytime Rounds, a $60 Range Express Card and our new Delaware Advantage Card its the perfect gift for the golfer in your life for just $209. After playing your 3 rounds you will save $7 each 18 hole round and automatically be entered into our Rewards program to earn points towards free rounds at Ed Oliver's, Delcastle and Rock Manor. We hope to see you at The Rock this year!